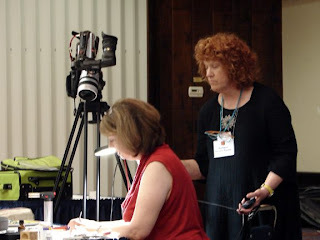 Barbara Becker Simon graciously invited me to tag team with her on a live demonstration at the sixth and final PMC Guild Conference. 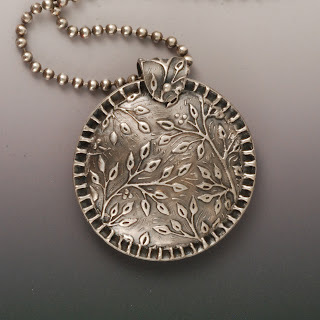 Our topic was combining glass with metal clay (silver), since both of us are glass bead makers as well as metal clay artists. The live demonstrations are always very popular at the conference. There were two other presentations as well. Terry Kovalcik and Chris Darway, otherwise known as "The Jersey Boys," shared innovative techniques like building cores from different materials and combining titanium wire with metal clay. I have some three dimensional structures that I've been dreaming about, so I'll be experimenting myself with some of these ideas. Ms. Akiko Nashida from Japan demonstrated life-like flower construction, first in bread clay and then in silver clay, with Ms. Reiko Ichimura translating. All the presentations were give twice, on two different days, to accommodate as many viewers as possible. I started off our demonstration with fire, as a good torch always gets things warmed up! Although almost everyone in the audience had embedded a dichroic cabochon into metal clay at some point in their artistic careers, and many had even made their own kiln-fired cabochons, only a few had ever done so with a torch. 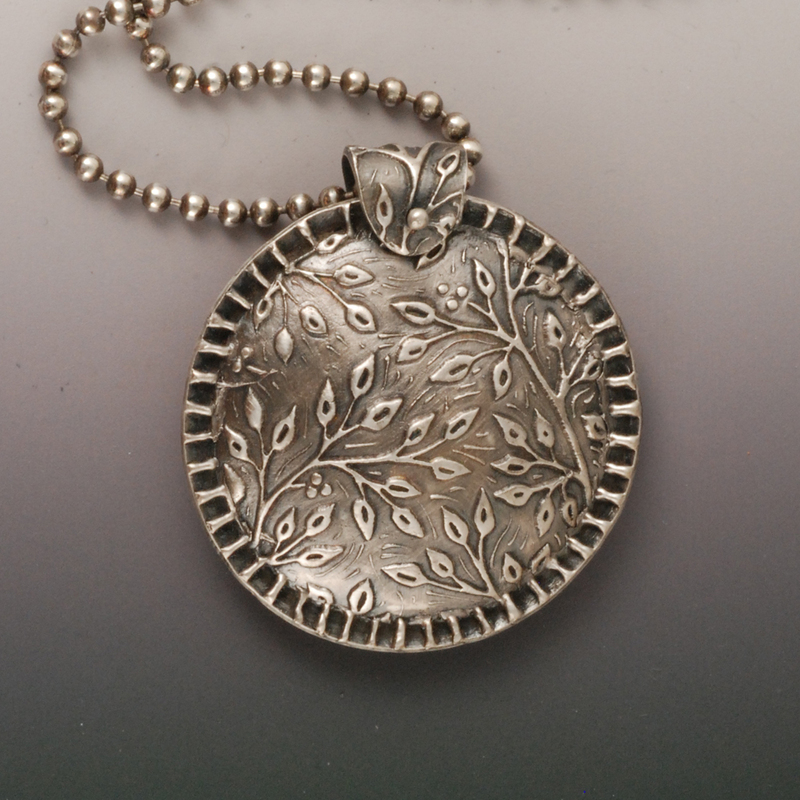 The torch has many advantages, including the possibility to use tools like a knife to shape the cabochon. Barbara then demonstrated using PMC paper/sheet to form structures with sheet glass, very reminiscent of copper foiling for stained glass. 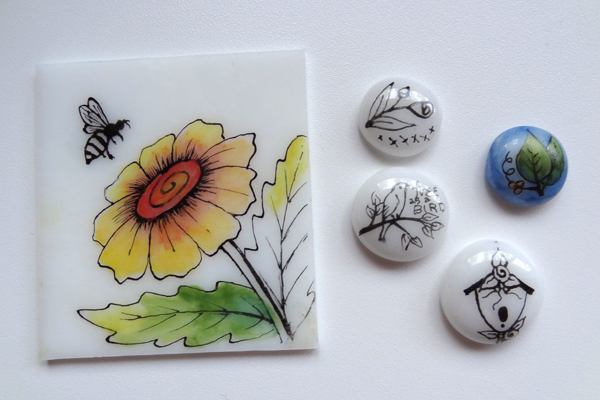 Next, I demonstrated two of the types of enamels that I use for my glass paintings that later get set into silver clay. First was a tracing black used for outlines and text work, and then I showed the glass painting watercolors that are so easy to use. Barbara followed by mixing enamel into metal clay to make a vividly colored, but structurally formable component for jewelry, which has a very different look than regular enamels. 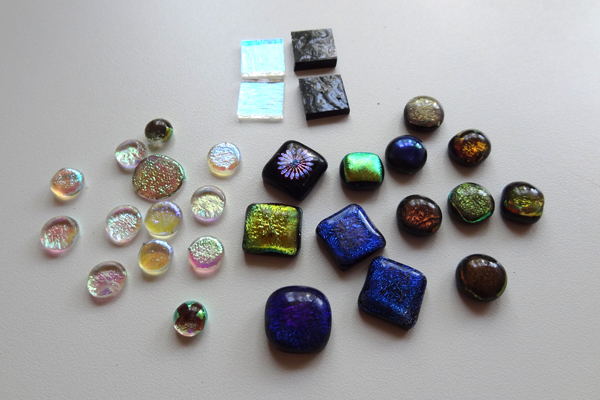 Finally, I did a quick synopsis of my approach to setting glass into metal clay. I never set glass into clay, but always pre-fire components and then add the glass and seal the seam with a decorative reinforcement. 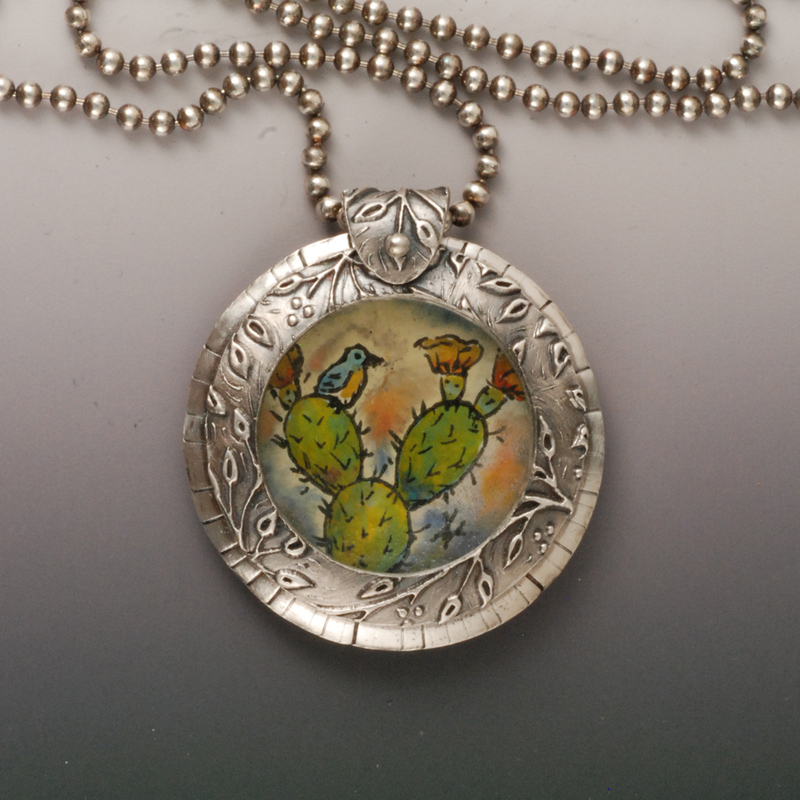 Barbara covered painting onto glass with metal clay pastes as her third demo. I really wanted to squeeze in a few more topics, but there just wasn't time. You can find the link to my conference presentation summaries, both the ones I actually finished and the two I only dreamed of including, in the upcoming issue of my newsletter. It was an excellent presentation, I was blown away by your torch fusing glass! Thanks, Wanaree! Sometimes the simplest things are the best. You girls had an amazing presentation !! !